My wife and I each use a different Windows laptop, so we end up having documents scattered between them. We back up data using a wired external hard drive, not knowing what has been saved where. Is there a solution that can allow file sharing and keep my files, my wife’s files, and the backup files synced up? There are networked hard drives from several manufacturers that can back up both laptops wirelessly and allow sharing. One I reviewed recently is the My Book World Edition from Western Digital. Another approach would be to use a Web-based synchronization service. My favorite of these is called SugarSync, from a company called Sharpcast. SugarSync can automatically, and almost instantly, synchronize files in folders you select among multiple computers, while also backing them up to a password-protected Web account. SugarSync starts at $5 a month or $50 a year for 30 gigabytes of files, and goes up in price based on the amount you use. The company offers a free two-gigabyte account and a free trial of larger accounts for 30 days. More information is at sharpcast.com. I have been a Windows user for may years but have wanted to change to Mac. Yet every article I read says that Quicken, which I depend upon heavily, will not run—at least reliably—on a Mac, even with the Windows-compatible software. Is this true? The native Quicken version for the Mac is a less capable program than the Windows version, and doesn’t use the same file format, which makes importing Windows Quicken files a tedious and imperfect process for many users. Intuit, the maker of Quicken, is promising a new, much better native Mac version early next year that it claims will solve these problems, but I haven’t tested it, so I can’t verify that pledge. However, in tests I have run periodically, Quicken for Windows ran just fine on a Mac equipped to run Windows and Windows programs. This was true when I used either Parallels or Fusion, which allow you to run Windows programs on a Mac simultaneously with Mac programs; or when I used Boot Camp, which converts the Mac into a full-fledged Windows machine, with Apple’s operating system turned off. I plan to get a new computer after Windows 7 is released in October, to replace my old Compaq running Windows XP. Will I have difficulty moving my files to the new one? You shouldn’t have much difficulty with your personal data files. Microsoft is building in an Easy Transfer program to move personal files to a new Windows 7 PC. But the Microsoft program won’t move over your programs. You will have to reinstall all your programs, which means finding your installation disks or installer files and re-installing all the updates from that have occurred over the years. A company called LapLink is promising to sell software it says will automate the entire process, including moving programs, to spare you this re-installation burden. But it isn’t out yet, and I haven’t tested it with Windows 7. 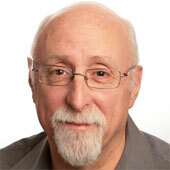 You can find Mossberg’s Mailbox and my other columns at the All Things Digital Web site, http://walt.allthingsd.com.